The Armenian language is the national language of Armenians and the official language of Republic of Armenia and Nagorno Karabakh. 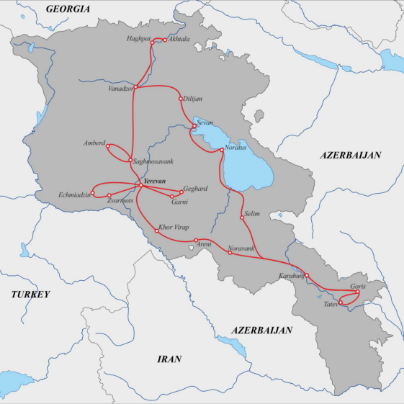 It is one of the oldest languages in the world and was originated in Armenian highland and belongs to the Indo-European language tree and occupies an independent branch. After the adoption of Christianity, the need for written language was the main target of Armenians. The solution to this problem gave the one and only Mesrop Mashtots. In 405 AD he created first Armenian written Alphabet. Until the invention of the Alphabet, our language was only oral speech. 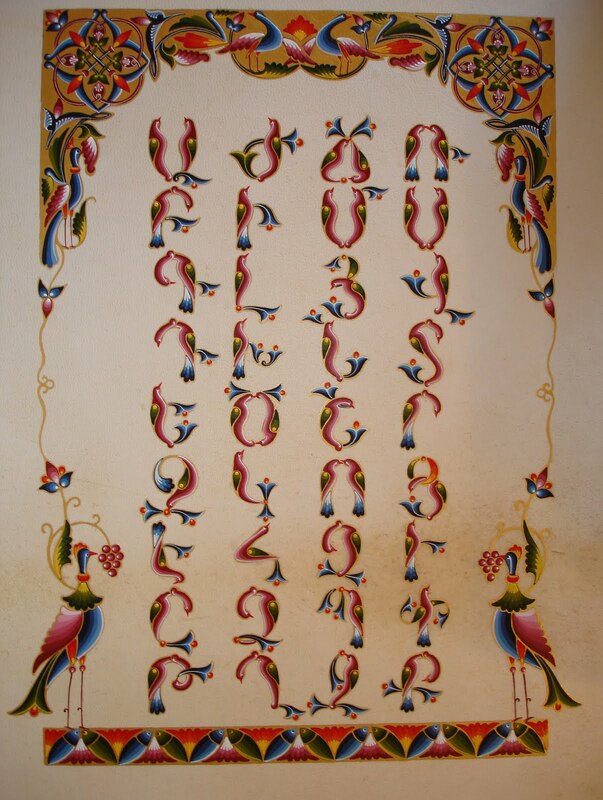 The Mesropean Armenian had 36 letters, three important letters were added to the Alphabet in the 12th century. The first translated sentence in ancient Armenian was “ճանաչել զիմաստութիւն եւ զխրատ, իմանալ զբանս հանճարոյ” which means “know wisdom and precept, know the words of the genius”. Most of the ancient manuscripts (more than 17,000) were written in ancient Armenian and now are kept in Matenadaran(Yerevan)In this period worked famous Historians Movses Khorenatsi, Koryun, Agantangeghos, Eghishe and many others. The Armenian Theatre is considered to be one of the oldest theatres in the world․ It was originated in the 1st millennium BC and the first Armenian professional theatre was originated in the Hellenic period and the first performances were in tragedy and comedy. According to the Historian Plutarch, Tigran the Great (Mets) built a building amphitheater in Hellenic Style, in the capital Tigranakert, in 69 BC. In the medieval period was developed the Armenian theatre of the Cilicia Kingdom which became one of the centers of Armenian culture. In the 19th century, in the Armenian performances were added Russian performances and Shakespeare’s novels. The Armenian Music originated in the 2nd millennium BC. The first time music was mentioned in the works of the Armenian historians Mosves Khorenatsi and Pavstos Buzand. According to Movses Khorenatsi, we had a “Pandir” musical tool. Buzand mentioned in his works that Armenians had already pipe, lyre, trumpet, and drums. In ancient manuscripts were kept songs about Ara Gexhetsik and Shamiram (pre-Christian period). According to historian Agatangheghos that already in the 4th century Armenians taught music in schools. After the creation of the Alphabet, the music started to develop and Mesrop created spiritual songs by. In the 5th century were originated psalms which were widely used in church ceremonies. In the 16th century appeared a new type of music, the artist of which were called minstrels. They were national singer-poets who played a big role in a history of the Armenian music. The famous minstrels were worldwide famous Sayat-Nova, Naghash Hovnatan, Jivanin, Sheram and Havasi. The classical music appeared in Armenia in the 19th century (1813-1815), which founder was Hambardzum Limonchian. The Armenian first opera was created by Tigran Chukhachian (1868), called “Arshak 2nd”. In that period developed a new culture of music in national-liberation ideas.The most important historical figure in our history, Komitas began his career at that time and changed the history of music Art. He was a teacher who left huge cultural heredity that is still being used in nowadays Armenian music. Rug Making is the traditional branch of the Armenian Art and one of the symbols of our culture. It was originated in the 3rd -4th millenniums BC. The evidence of which, are the working tools, appliances, the remains of the fabric and the remains of material which were found during the excavations. The rug making culture became famous especially in the early medieval period, during the reign of Bagratuni. Still, in that time our national rugs were famous in international markets. 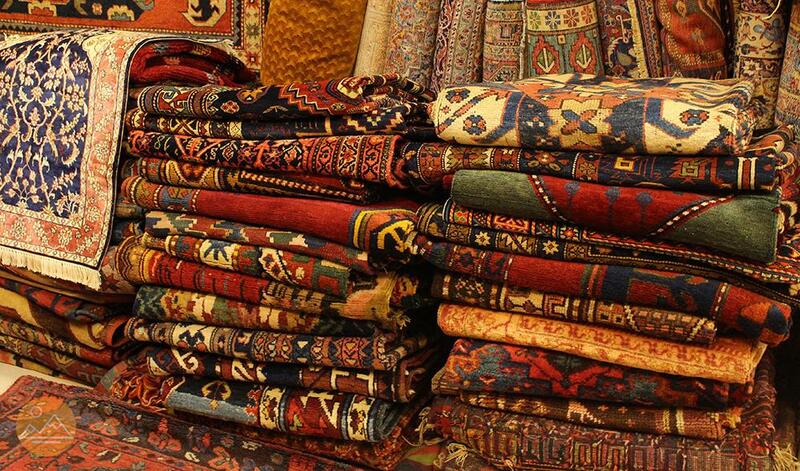 The foreign historians (8th -12th) mentioned about the high quality of rugs. Many ancient rugs were kept until today, the ancient one is the “Yerakhoran” (1202), “Guhar” (1680), and both of them have the Armenian inscription on them. Our national rugs have colorful ornaments and square form which are made of wool or thread and have different patterns and decorations. On each rug were written the date, event and the name of the maker. The main colors are the red, blue and brown. Every region of Armenia had its own rugs and carpets with unique decoration and the ornaments. The Armenian Cuisine reflects the traditions and the history of ancient Armenia. We inherited diverse and rich cuisine from their ancestors. Our cuisine is considered to be one of the oldest one in Asia and Transcaucasia. It proves the fact that still 2500 years ago the Armenians knew how to bake bread and make a barbecue. The Armenian dishes are famous for their special taste and spicy flavors. The most popular dishes are made of meat. 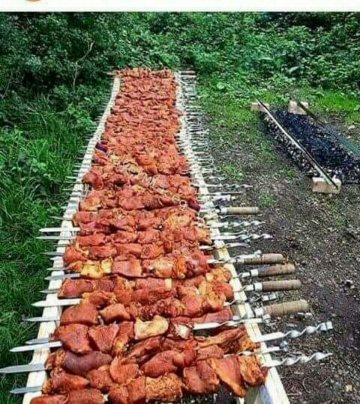 The most important and special dish of every table is the barbecue which is made with pork, lamb, beef or chicken in the addition of different species and served with traditional Armenian “Lavash”. The other traditional dish of Armenian cuisine is the famous “Tolma” or “Dolma”. We have more than 50 types of it, which is considered to be the second main dish on Armenian tables. Dolma is made with cabbage leaves, or grape leaves, rice, minced meat and other species.The fish has its special place in Armenian cuisine. The locals like to make fish, especially “Ishkhan”, “Taraph” “Sig”. Besides, that Armenians have a special festival dedicated to fish. “Khash” maybe is the most traditional dish. The Armenians love it, though it has a long making process. This dish is made of boiled cow’s feet (cleaned, without the smell). Besides all the delicious dishes, Armenians have delicious and sweet desserts that attract everyone. The traditional Armenian sweet cakes are “Gata” and “Pakhlava” which is the decoration of any traditional table. Another feature of cuisine is dried fruits. They are an inseparable part of every Armenian festive table. 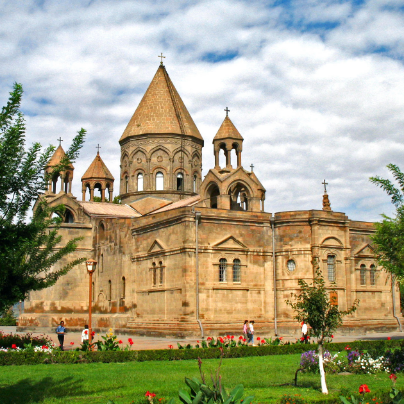 The Armenian Architecture is a branch of the Culture. Our Highland is rich with a stone; that is why the uniqueness of national Armenian Architecture is considered to be the diversity of Armenian stones, especially tufa stone, also its unique in its exceptional diversity, the artistic and mechanical features. 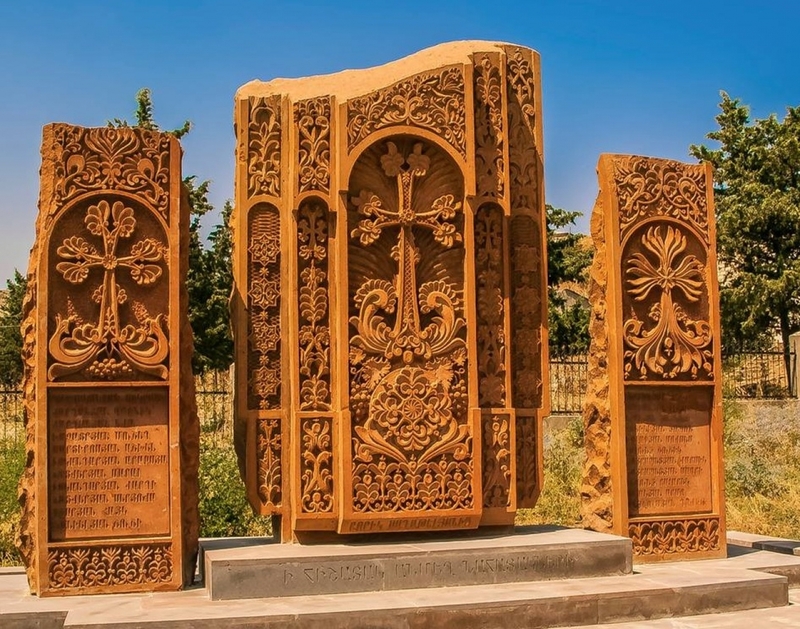 Khachkar or Cross-stone is an extraordinary phenomenon in Armenian Art. The master used the cross to express his own feelings and dreams. The khachkars are the best creation of Armenian Architecture equal to other architectural buildings (Rafael Israelian). The Armenian buildings have unique and extraordinary design and architectural style. 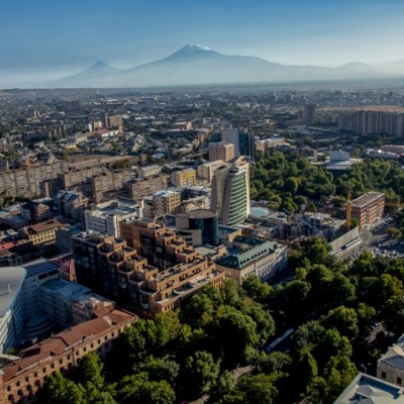 Yerevan, a heart of Armenia, is full of statues, buildings and other monuments that give special look to this ancient city. Every building gives a new breath to this lovely pink city. The Armenian architects and masters created such kind of buildings that are still wondering everyone. 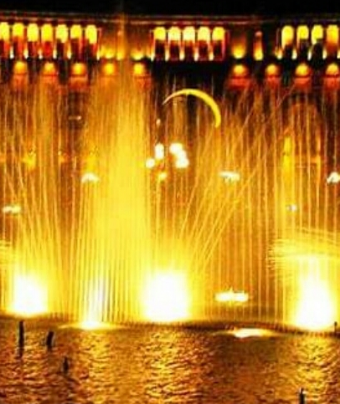 Yerevan being a capital of Armenia is famous for its unique, outstanding and exclusive structure.